Eva Marcille married Michael Sterling during Sunday's episode of "The Real Housewives of Atlanta." "We messed up. I'll just say it," Marcille said during the after-show. "I was naive to think that if I set a number, that that was the exact number we were going to stay at ... Every little thing costs." "The Real Housewives of Atlanta" star said her wedding surpassed her expectations despite the difficulties. 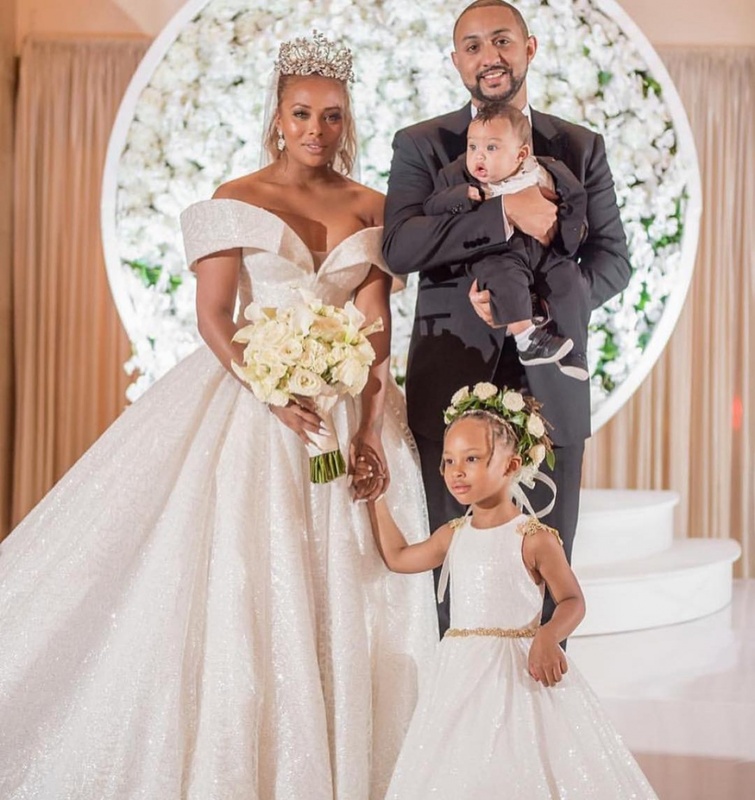 Marcille shared a family photo from her nuptials Sunday on Instagram. The picture features Marcille, her 4-year-old daughter, Marley Rae, Sterling and their 5-month-old son, Michael, Jr.